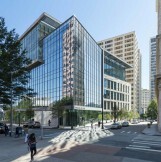 In the heart of the Georgia State campus lies the new College of Law building, opened in September 2015. While students and faculty passing by might not recognize the structure’s ingenuity, those who enter find the design represents more than meets the eye and incorporates robust features to meet the needs of 21st century education. 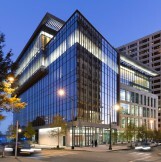 Founded in the 1980s, the prestigious Georgia State School of Law was in need of a new facility that would meet the demands of modern schooling and standards of sustainability. For architect, John Elvin, it was vital that the vision not only be durable for college activity, but also inventive and meaningful to the local area. Early on, goals were established for the building to achieve LEED Silver certification and serve as a model for energy-efficient operation. In order to accomplish these, Elvin and his team needed to select strategic materials that met the most recent building and energy codes. A key feature of the building would be a 7 ½- inch curtain wall. The team selected the YCW 750 XT IG Curtain Wall System from YKK AP America, a system proven to meet the strictest sustainable building codes and provide excellent energy efficiency. The inside glazing feature of the YCW 750 XT IG met the GSU Law facility’s requirement for both interior and exterior glazed installations. 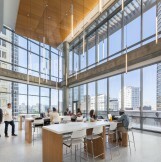 “The project was a testing ground for incorporating a hybrid approach to glazing,” said Elvin. The experimental glazing process for the building created unexpected roadblocks for the installer, as working with the product both internally and externally presented unanticipated challenges. Fitting products with different gaskets was one of the main trials that the team faced. However, with water tests built into the initial scope, the team was able to resolve any issues before the final installation. In the construction process, the design team paid special attention to the latest building regulation. The College of Law facility was designed under the 2012 Building Law system to ensure all construction requirements were met for years to come. 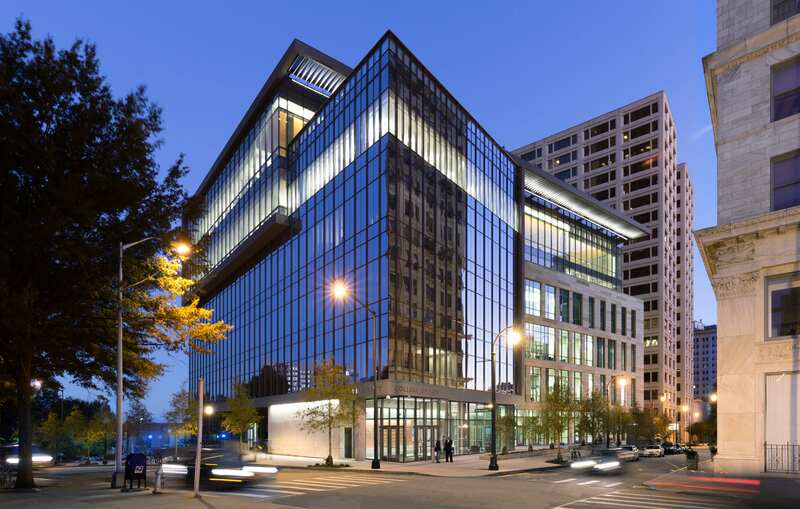 Furthermore, the 2009 International Energy Conservation Codes were referenced prior to state adoption, meaning this high-rise facility was already ahead of its time. 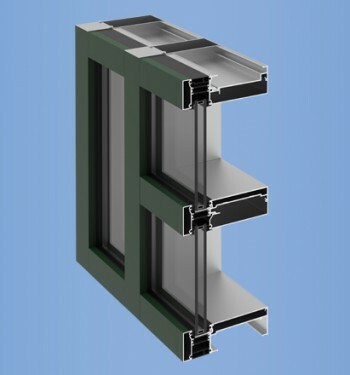 The YCW 750 XT IG exceeded the most rigorous building protocol, making the curtain wall a natural fit for the project. Utilizing this product ensured long-term structural integrity, which was essential if the building were to endure in the future. Since opening, the facility has prompted only positive feedback from the university and residents. The 205,000-square-foot building offers students a space to learn and gather, including a 230-seat mock courtroom auditorium and 200-seat conference center. 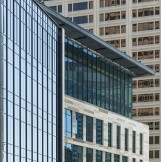 A key part of the building’s design is an expansive exterior curtain wall. The College of Law is very pleased with the finished product and has conveyed this on numerous occasions. The building exemplifies that through perseverance and pioneering design choices, the final result can make a bold statement for years to come.